Mary, your decorations look wonderful! My husband and I got everything out yesterday, but only got half way finished! I hope I have pictures to share this week. 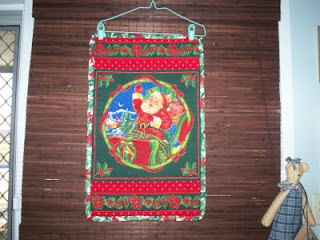 Lovely - I just read about the origins of the Christmas quilt underneath your other decorations over at Nicole's bog. What a happy-looking Christmas-y home you have. Happy holidays! 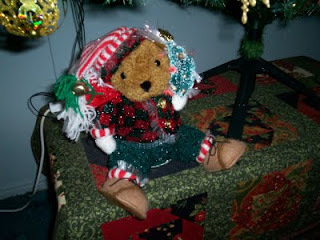 Merry Christmas - I found your blog by way of Nicole's blog! 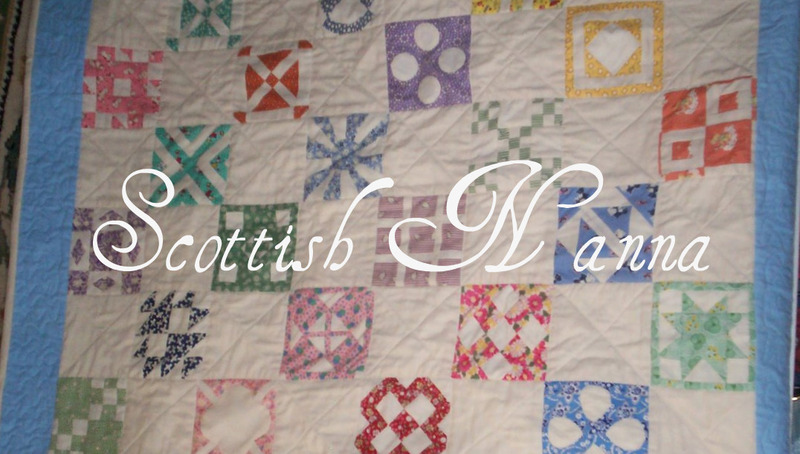 Love your decorations and the quilt you made out of the "orphan blocks" you won by Nicole! 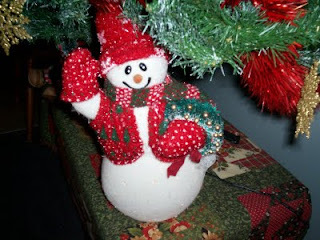 What cheery decorations. I've come to you by way of Nicole's blog. Lovely quilt you've made with her blocks. 31 Grandchildren! Will you make quilts for them all? Oh Mary, how delightful. 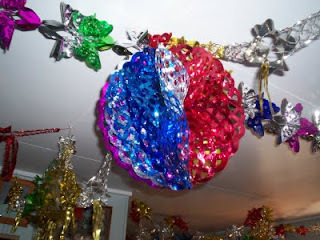 I especially enjoy the Xmas ball and of course your adorable wall-hanging. I just looked at the lovely quilt you made from Nicole's orphan blocks. What a great job you did! My husband and I were in Australia around our Thanksgiving holiday a number of years ago. We still have wonderful memories and hope to return one day. I thought I had a lot of grandchildren with 7 and one on the way. 31??? Now that sounds exhausting. Happy Holidays. Hello Mary, found your blog through Peg. You are very lucky to have so many to sew for,must be fun. Your Xmas decorations look great. 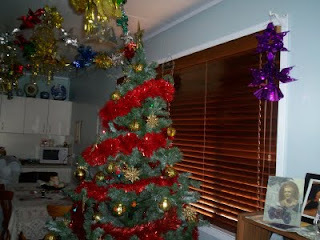 Wow Mary, it's all looking very festive!! LOVE the bear with his boots on, he's adorable!! It sure does look like Christmas over there ! Have a fun time !